Planning a bridal shower takes a lot of effort, especially if you are brainstorming fun games to keep guests entertained or unique ways to get people mingling. The famous couples game -- a good option for bridal showers -- involves matching the names of famous people who dated or were married. Because numerous variations of the game exist, you can use it for different types of shower entertainment. It's a challenge at any party to encourage guests who have never met to talk to each other. Ice breakers can make that easier, and the famous couples game can serve as an effective ice breaker. In this variation, create a list of the individuals who make up these famous couples. Write or type each name on a separate piece of paper. As guests arrive at the bridal shower, tape or pin one of the names to each guest’s back. After the guests arrive, they can begin asking questions about their “name” until they pair themselves up with their famous other half. The more traditional version of the famous couples game involves printed worksheets. You can make the worksheets yourself with a word processing program or print off pre-made worksheets from the Internet. Guests usually have a set amount of time, usually five minutes, to match up the individuals in one column with their partners in the other column. Make sure to have pens or pencils and a timer if you play this version of the game. In a similar variation, you can give guests a set amount of time to list all of the famous couples that come to mind. The guest who writes down the most couples wins. If your guests want a version of the famous couples game that is a little more energetic, you can have them act out the couples. For this version, divide the guests into two teams. Try to keep the teams mixed between friends of the bride and friends of the groom so everyone can continue getting to know one another. An individual or pair from each team then acts out a randomly selected famous couple. If their team members correctly guess the couple, they get a point. This game usually takes longer than other versions and works best with larger groups. The famous couples game can also make a fun trivia challenge for your bridal shower. This version can be played in a number of ways. The easiest is for the party host or the bride-to-be to shout out the name of one-half of a famous couple then have the other guests shout out the name of the couple’s other half. 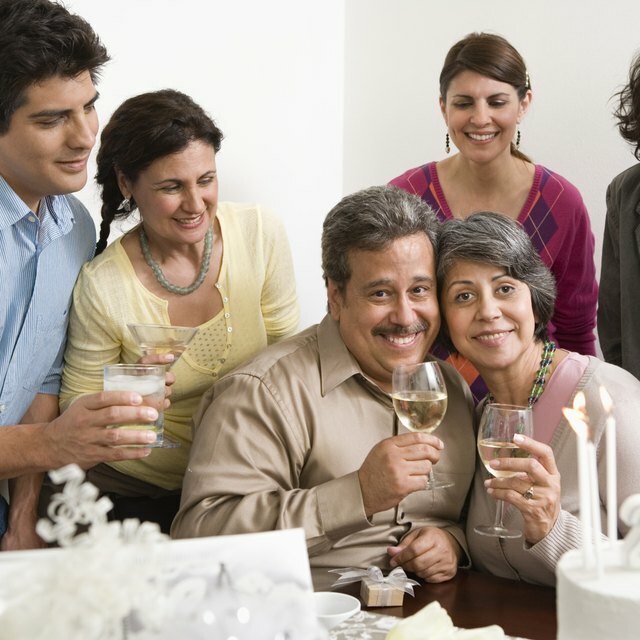 Alternatively, you could show a photograph of the couple or of one-half of the couple and ask guests to name the people shown or the half of the couple not pictured. You could even create a "Jeopardy"-style competition with different categories of couples, such as “Acting Couples” or “Historic Lovers,” and allow teams of guests to compete for a high score.